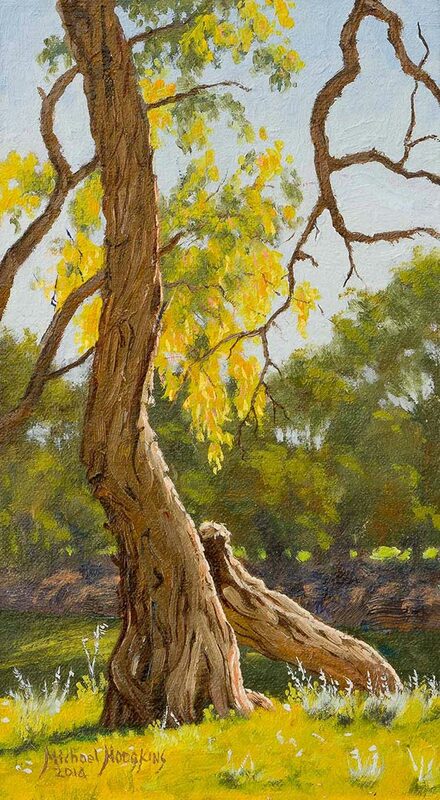 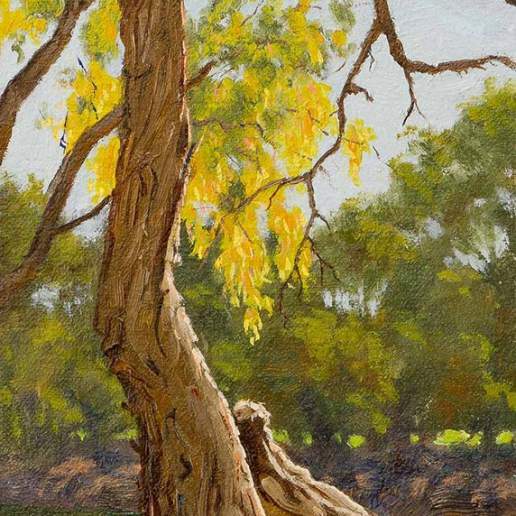 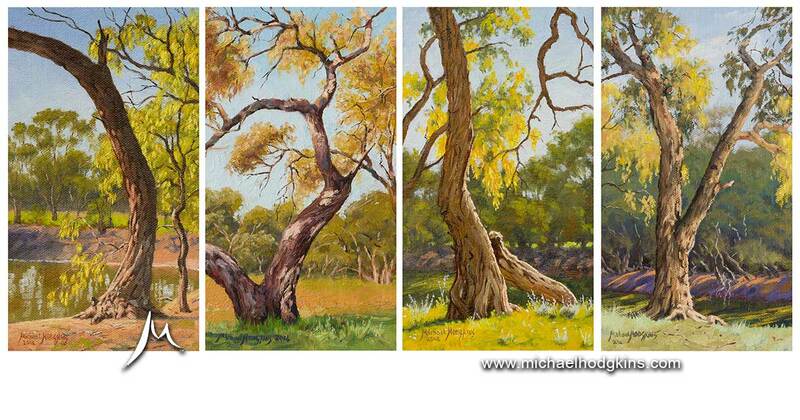 One of a set of four traditional 9 x 5 tree studies from the banks of the Darling River in outback New South Wales. 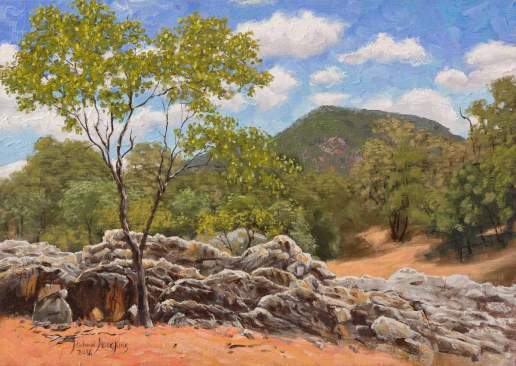 The site of these paintings, Dead Mans Point, near the ruins of long gone old Tintinallogy townsite has a fascinating history. 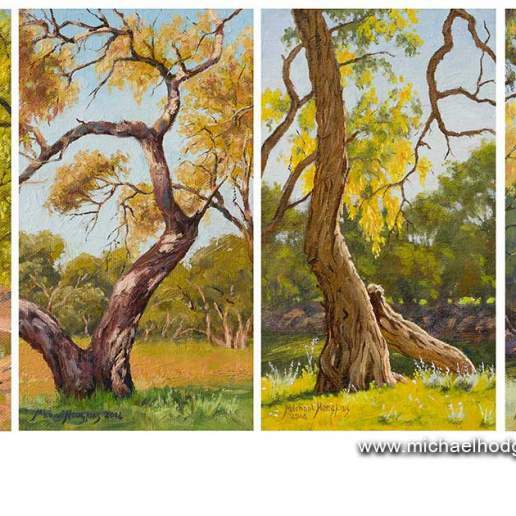 So with all this history and outback charm surrounding me and having just absorbed inspiration from all the Australian Landscape Painting activity in nearby Broken Hill, I put down a group of four 9 x 5 plein air oil studies. 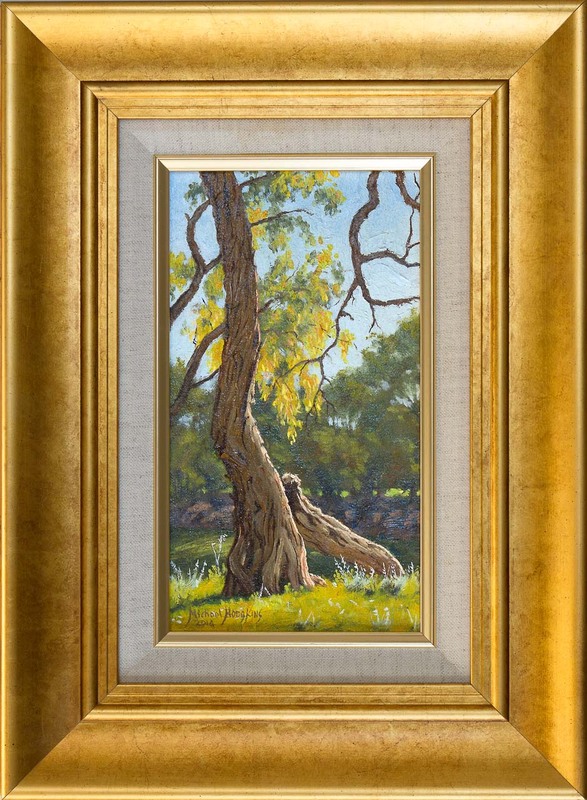 This painting is a matched pair with Darling River Tree Study 1 – Both have identical frames.